South Bus Transport Swindon - Removals, Carpet Cleaning, Locksmith & Glazing Repairs! Door busted? Pipes leaking? Locks not working? These are just some of the things we can help with. We offer over 20 commercial trade services. If there is something that needs replacing, fixing or adjusting. We are here to help! For coming on ten years we have been proving commercial moving and cleaning services. If you are moving a business locally within Swindon or are moving to another city. We have you covered. Our bespoke services will help you create a customise and hands free solution based on your business needs. With over 12 years experience in domestic and international bespoke transport and logistics solutions management we are known as one of the top companies in the UK. It does not matter if you need to transport something small domestically or are shipping in an entire freight containers from China with 2,000x 40ft containers. We can help. If you are looking for a company that will provide A class service. Has a reputation for getting the job done on time and is trustworthy then SBTTS is who you want! Call us today on 01793 534091. Moving business premises? We can help facilitate a hands-free move with our bespoke solutions. We will move you into your new locations and clean the old location based on your needs. Moving business premises? We can help! We understand the intricacies of moving a business. We have been in the moving and cleaning business since 2009. Only three years after we started our transport and logistics division. Commercial contract are full of t's and i's that need to be addressed. If you do not abide to contract might not get back you rental deposit from the TDP! Allow us to come in and provide you with out bespoke moving and cleaning services. 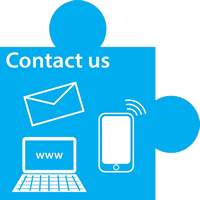 When you speak to us about our service will will run through all of our options. We have several options but by far our most popular option is door to door moving and full cleaning. We will pack everything up in your old business premises. Move it to the new premises. And then get to work on cleaning the old premises. To date since 2009 we have not had a single client of our not get back their rental deposit.